HOMANN, J.B. - Plan du siege de Corfu par Terre et par Mer. Nuremberg, 1753, In original colours.. 484x559mm. In very good condition. Very slightly age-toned. Decorative cartouches. MONDHARE, L.J. 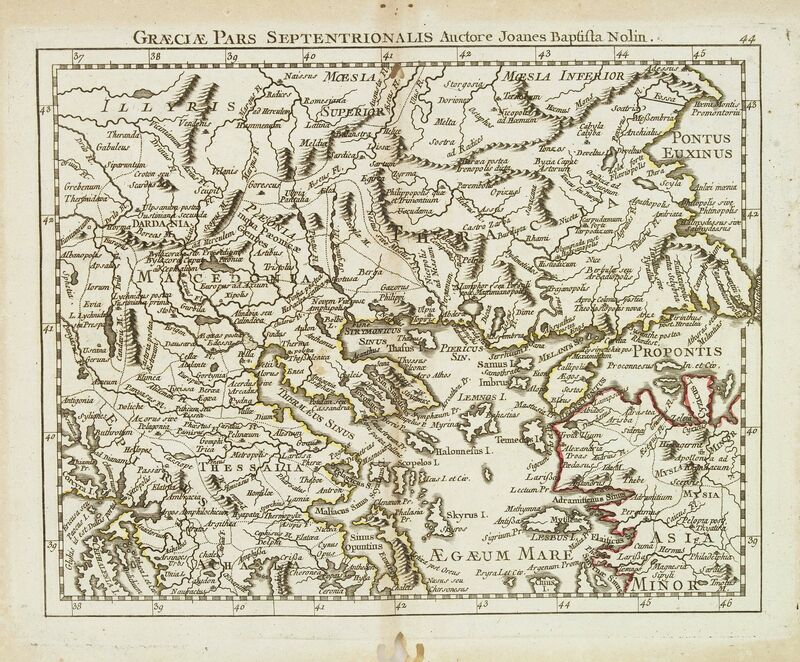 / NOLIN, J.B. - Graeciae pars septentrionalis. . .
Paris, 1781, In original o/l colours.. 205x258mm. Good and dark impression, paper slightly age-toned, mainly marginal. Marginal worm trace. 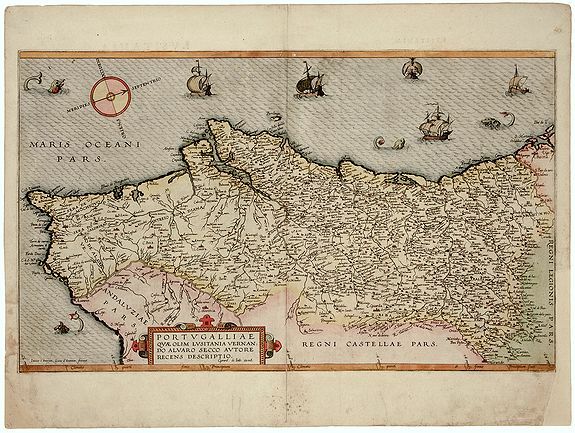 Rare map of northern part of Greece and part of Turkey, prepared by Nolin and published by L.J. 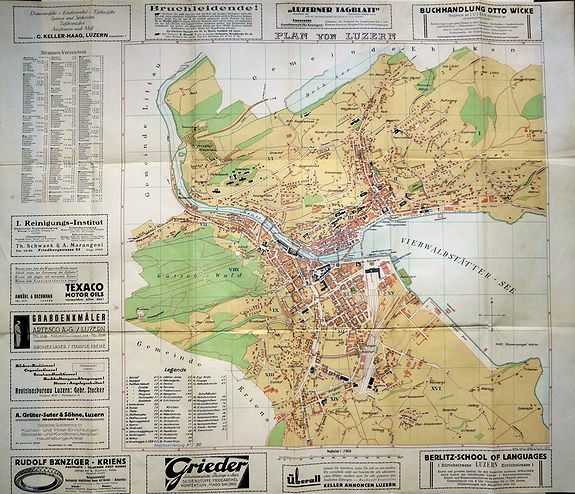 Mondhare for his Atlas Général a l'usage des colleges et maisons d'education..
CHATELAIN, H. - Carte des Grisons et des Communautez qui Composent leurs Ligues, les Etats de St. Gal, Neuchastel, Geneve et Quelques Autres Etats Alliez des Suisse. 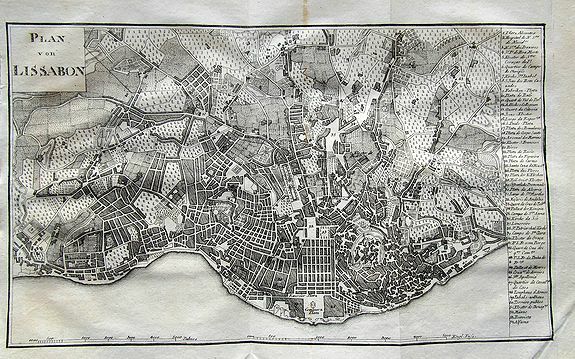 Amsterdam, 1720, Uncoloured.. 350x478mm. Very good impression. Rare to find in original out line colours. 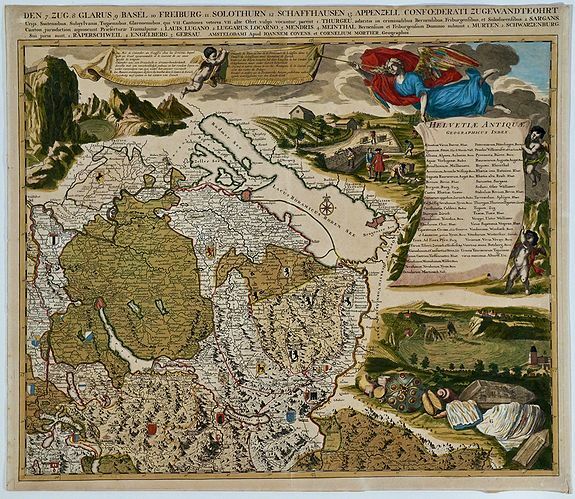 This finely engraved sheet provides the history of various cities and regions allied with Switzerland at the beginning of the eighteenth century. 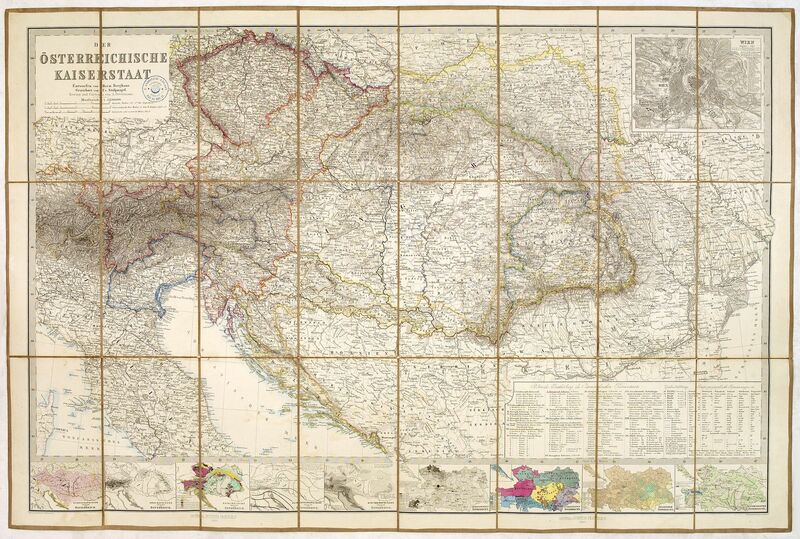 The top section of the sheet is adorned with nine inset maps of the various regions, including a plan of Geneva and a large map of Switzerland. Scheuchzer J.J. / Covens & Mortier. 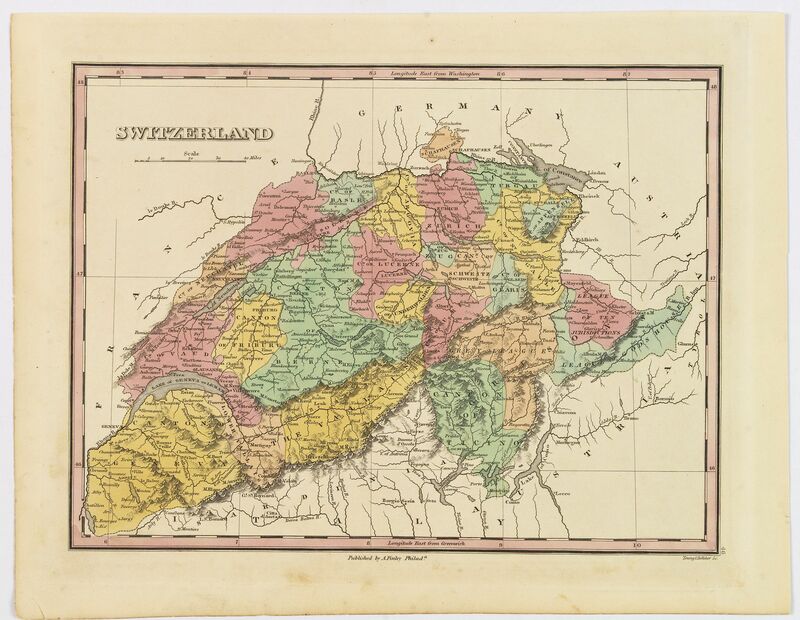 - Carte d'une Partie des Cantons de Berne, de Fribourg du Pais d Veau et du Valais. . . [together with] Zug, Glarus, Basel, Freiburg, Solothurn, Schaffhausen. . .
Amsterdam, 1720, Strong original colour.. 480x590mm. Maps are in overall good condition. Southwest map sheet has an area of abrasion and minor damage at lower right; this sheet also exhibits several vertical creases in centerfold area, more or less parallel to centerfold. The northeast map has a couple very minor similar creases, scarcely noticeable. Both maps exhibit minor soiling, mainly in margins. 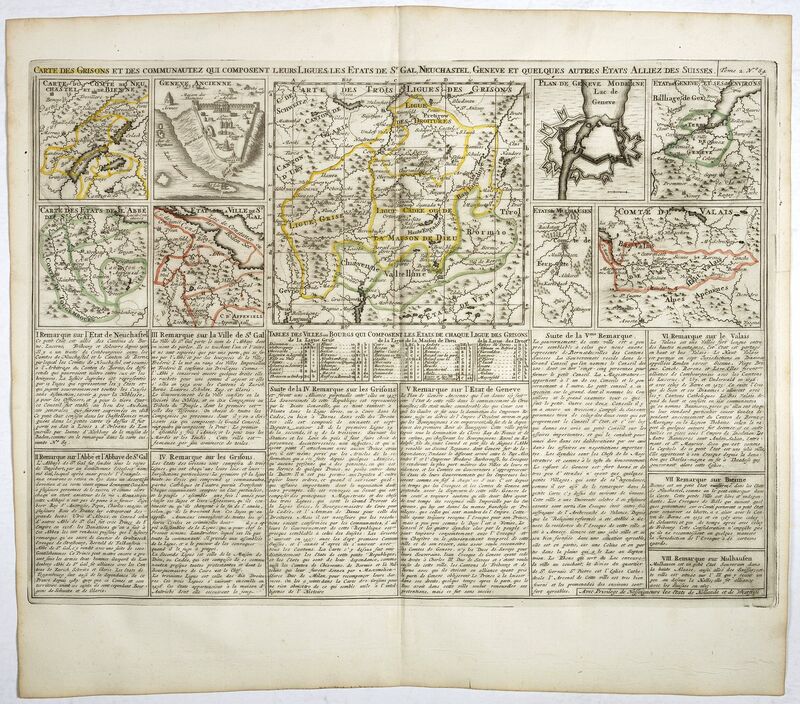 Both maps have margin edges folded over onto verso and somewhat close trims to side margins. 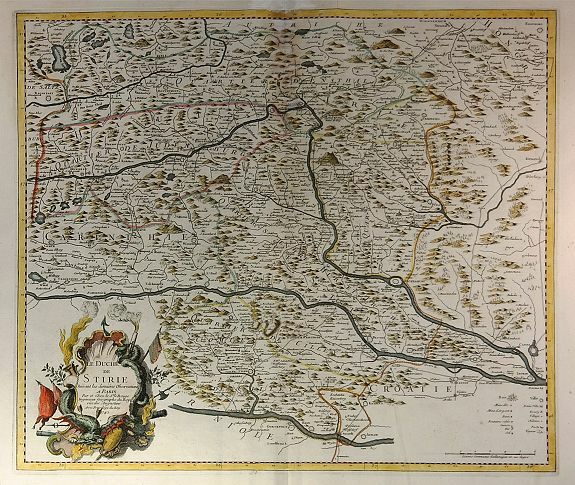 An exceptionally scarce and decorative set of two out of four regional maps of Switzerland by the renowned Swiss polymath Johann Jakob Scheuchzer (1672-1733). Brussels, 1824, In original o/l colours.. 120x140mm. Printed on heavy paper, good and dark impression. Mint. Philadelphia, 1827, In attractive strong original colours.. 215x285mm. In very good condition. Lightly age toned, a few marks and stains to margins etc. Good margins and impression. 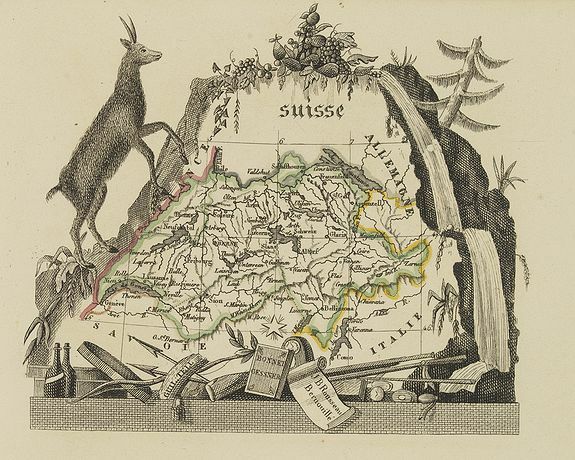 A beautiful example of Finley's 1827 map of Switzerland. With Finley's classic minimalist style, this map identifies cities, forests, river systems, swamps and mountains. 1874, Coloured.. 1085x1485mm. In fair condition. Linen backed. Folding map, divided in 8 parts. 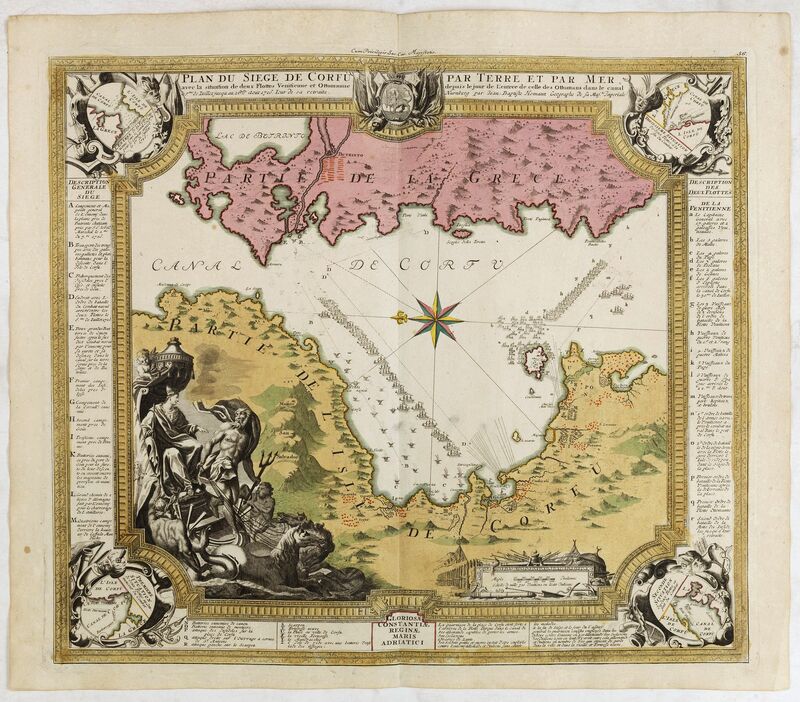 Mercator, G. / J. Hondius. - Das Wilflispurgergow. Amsterdam, 1619, Coloured.. 355x470mm. In very good condition. 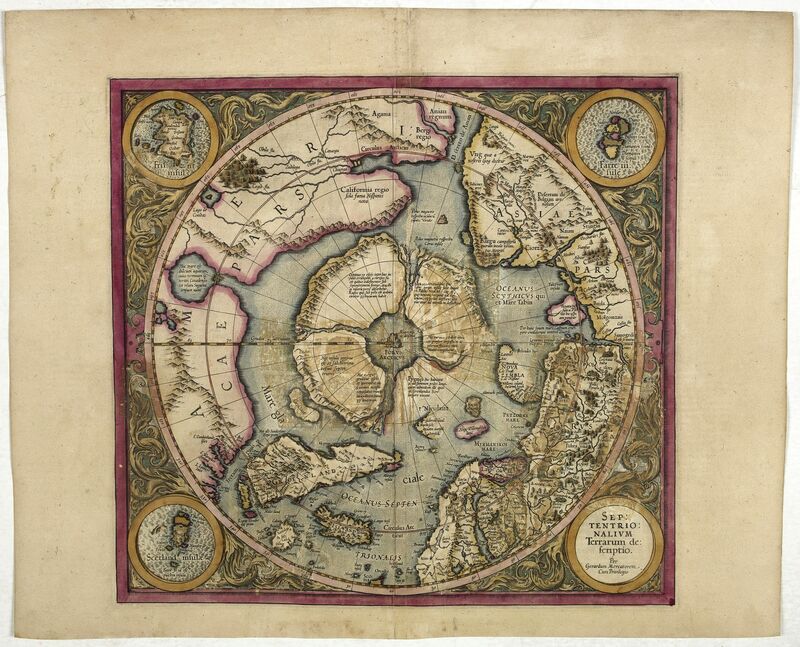 Gerard Mercator's ' Atlas sive Cosmographica' was published and augmented between 1606 and 1641 by Jodocus Hondius, his son Hendrik and by Johannes Janssonius. ERNST, Otto. - Funicolare Monte Brè Lugano Suisse. Cassarate-Catagnola. Lugano, ca. 1930, In original lithograph colours.. 995x695mm. Original colour lithographed poster, backed on linen, in mint condition. 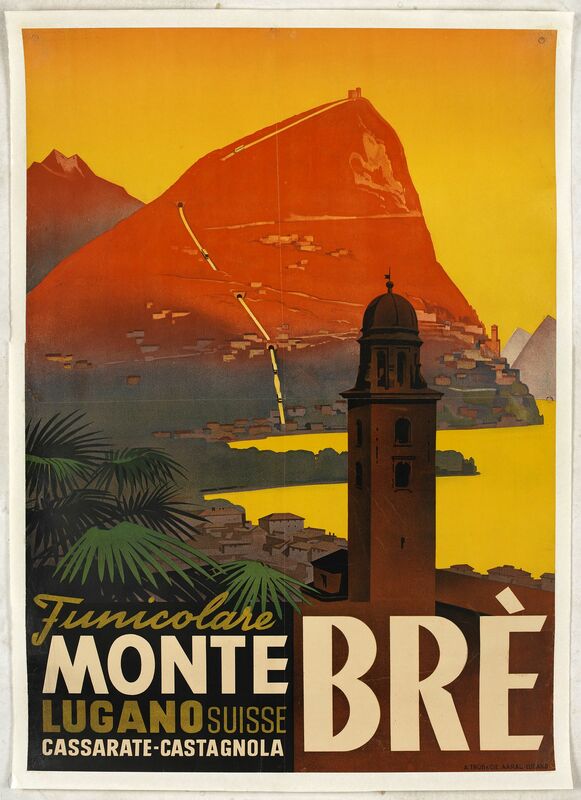 Rare and authentic poster of the Lake Lugano, situated in the Switzerland mountains, with a view of the Funicolare of Monte Brè. Designed by Otto Ernst and printed and published by A. Trüb & Cie, Aarau - Lugano. AVELINE, P. / CREPY - Fribourg Ville d'Allemagne Capitale du païs de Brisgaw. 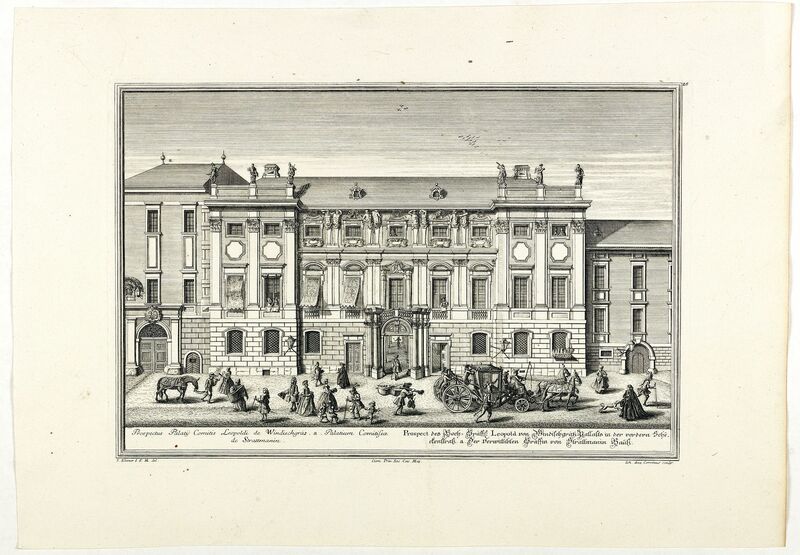 Paris, 1690-1720, Uncoloured.. 200x311mm. Upper margin cut close, just shaving the upper right printed area. A very RARE panoramic town-viewof the city of Fribourg. The plate is numbered in red pencil in upper right corner. France, ca. 1750, Coloured.. 210x345mm. In good condition. 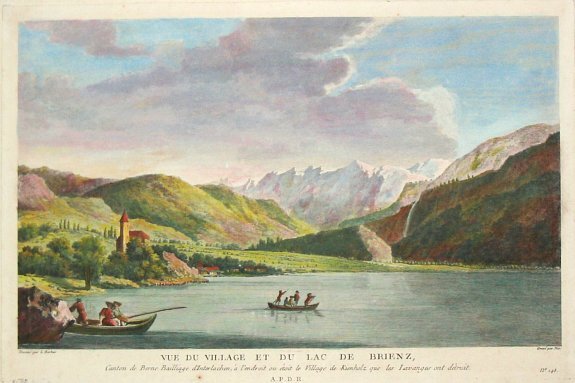 A view of the village and lake of Brienz. - A view of the village and lake of Lucerne..
- A view of Interlachen. After le Barbier. Together three views in Switzerland. ANSTAT ARIGER & MULLER. - Plan Von Luzern. Lucerne, 1922 , Original full colour. 500x520mm. A folding map in good condition. BUSSEMACHER, J. - Austria archiducatus. 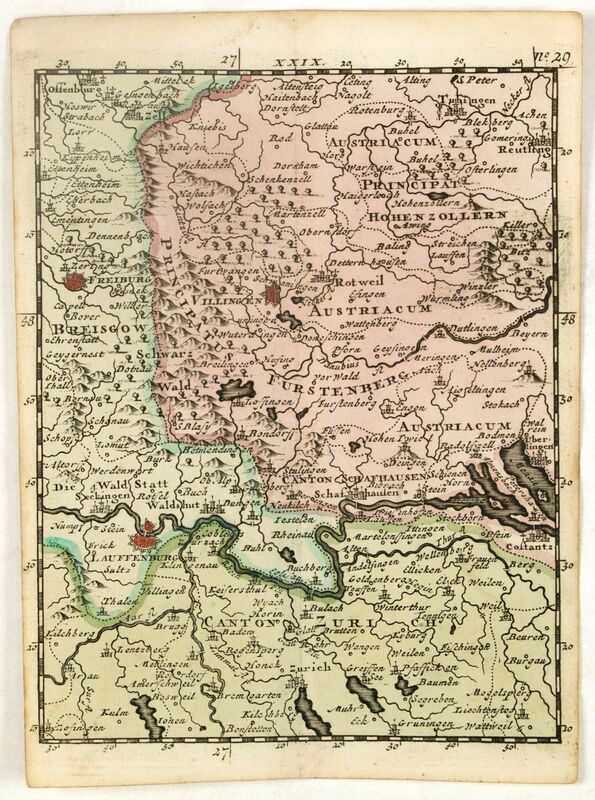 Allemagne, 1593, Uncoloured.. 150x187mm. Paper slightly age-toned. A good and dark impression. With French text on verso. A few contemporary annotations in brown ink. A few worm holes in center part. 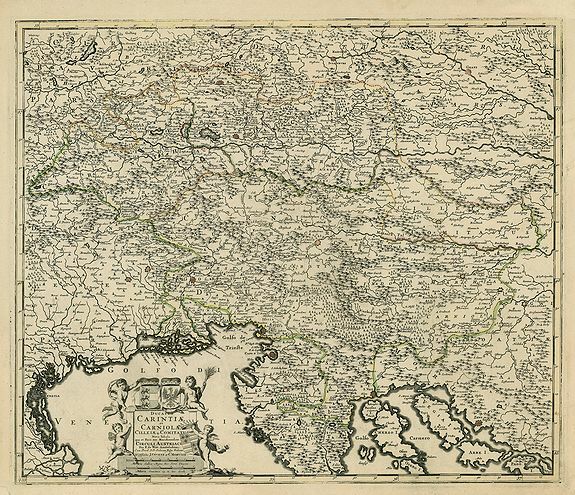 Detailed map of Austria by Johann Bussemacher (worked about 1580 – 1613), who was an engraver, printer and publisher in Cologne. Bussemacher, a trained copper engraver from Düsseldorf, lived in Cologne from 1583. There he ran a publishing house with his own printing press. COVENS / MORTIER. - Ducatus Carinthiae et Carniolae, Cilleiae que Comitatus Nova Tabula qua et Pars est Meriditionalir circuli Austriaci. . .
Amsterdam, 1711, Later Colours. 500x590mm. In good condition, some plate wear, and lightly age toned. 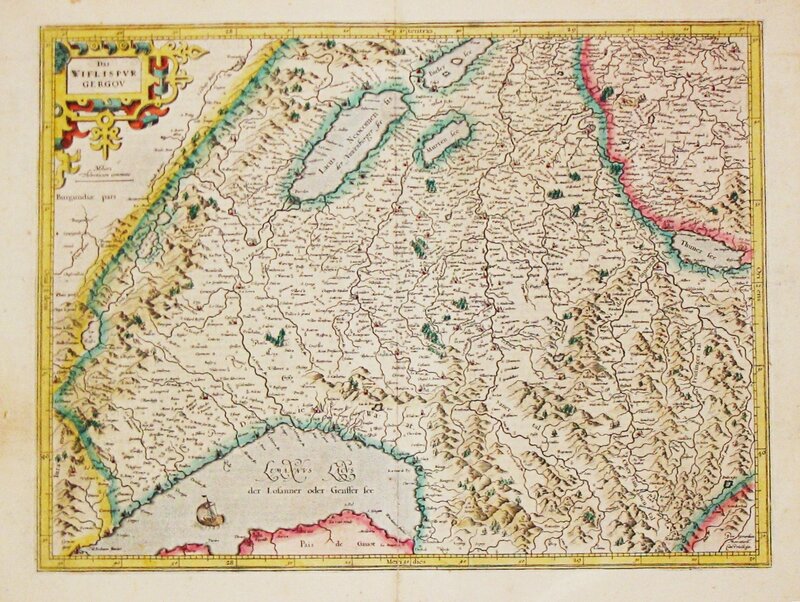 A lovely map of Italy including the Duchies of Carinthia, Carniola and Cilleia; once part of the Holy Roman Empire. A large cartouche on the bottom left is decorated with four putti and the three crests of the Duchies. With striking, original colour. Paris, 1742, Org o/l Colour w Border & Cartouhe Colour Added. 500x555mm. In fine condition on hand-made paper with centerfold as issued. The map shows the area of the Steiermark in Austria, comprising Sofron, Nagykanizsa to the east, the south Krsko, Klagenfurth and Radstadt in the west and in the north of Mariazell. Featuring the Dravv and Muchr Rivers that flow across the page. SANTINI, P. / REMONDINI, M. - Partie Septentrionnale du Cercle d'Autriche.. Duché de Stirje. Venice, 1776 - 1784, In original o/l colours.. 490x610mm. Marginal thumbing. Light spotting in the lower margin, just affecting the scale border. Else very good condition. 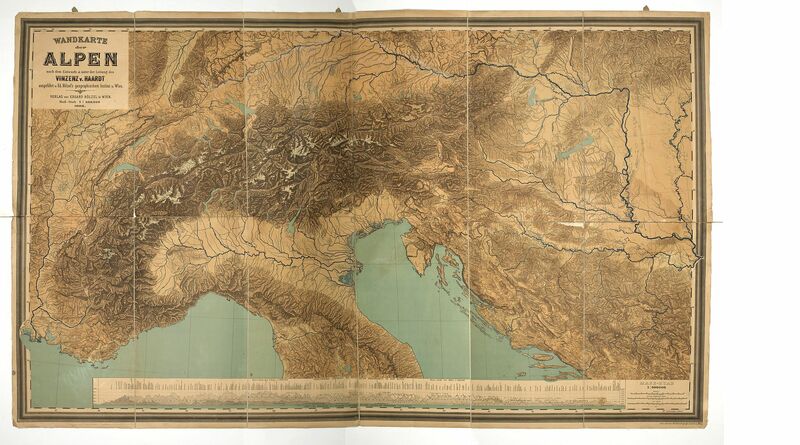 Finely and crisply engraved map of Austria, centered on Vienna. BERGHAUS, H. - Der Osterreichische Kaiserstaat Entworfen von Herm. Berghaus. . .
Gotha, Justus Perthes, 1863, In original o/l colours.. 610x880mm. Good condition. Engraved folding map, outline hand-coloured, dissected into 24 segments and laid on linen. Some thinning of linen on folds. 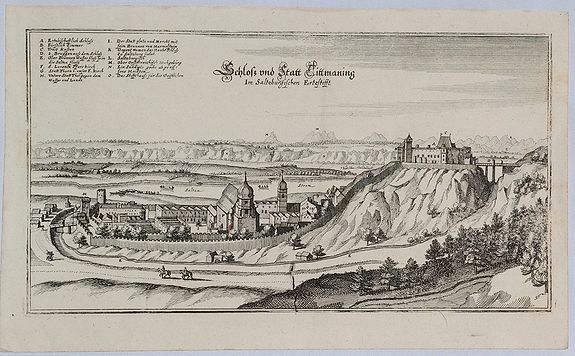 MERIAN, M. - Schloss und Statt Tittmaning im Saltzburgischen Erzstifft. Frankfurt, ca. 1644, Uncoloured.. 170x315mm. In good condition with usual light age toning. A striking, highly decorative and unusual original copper engraved view of Tittmoning, a city located in Bavaria, Germany. The view shows the city with his buildings, churches, castle and town walls. Several inhabitants going about their daily lives complete the sheets. CORVINIUS / KLEINER, S. - Prospectus Palatÿ Comitis Leopoldi de Windischgräz . 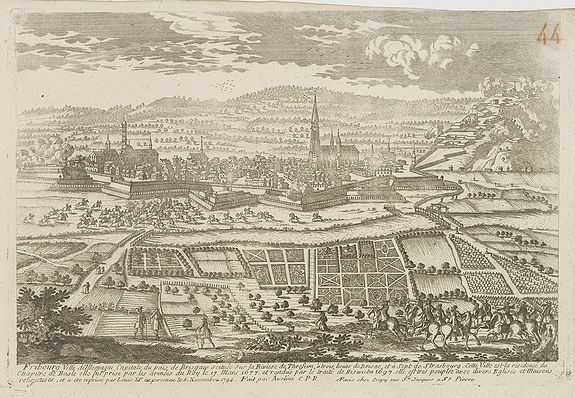 . .
Augsburg, 1737, Uncoloured.. 225x335mm. Wide margins. Mint condition. JODE, G. & C. DE - Portugalliae. Antwerp, 1593, Superb original color. 286x502mm. Some wear at centerfold, some marks, replacement to bottom corners with no loss, else excellent. 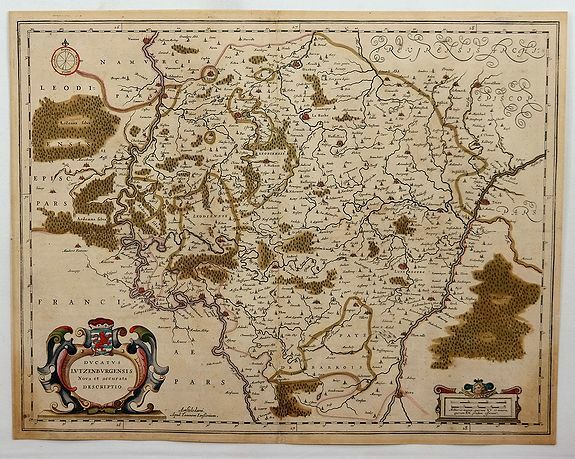 A beautiful, original color example of Gerard and Cornelis De Jode’s rare map of Portugal. The map – superbly engraved by Jan and Lucas Doetecum – combines rich detail inland with entertaining decorative flourishes at sea: four monsters, five ships and an elegant compass rose. Paris, 1748, In original outline colouring.. 170x200mm. In very fine condition. 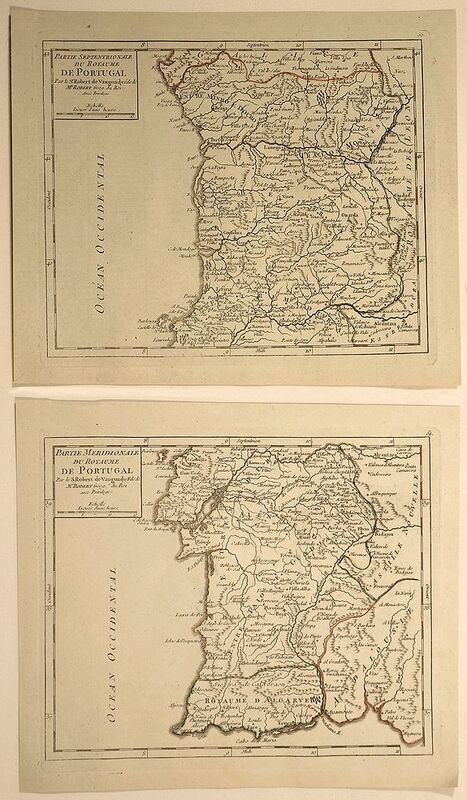 Two small detailed maps encompassing the whole of Portugal. 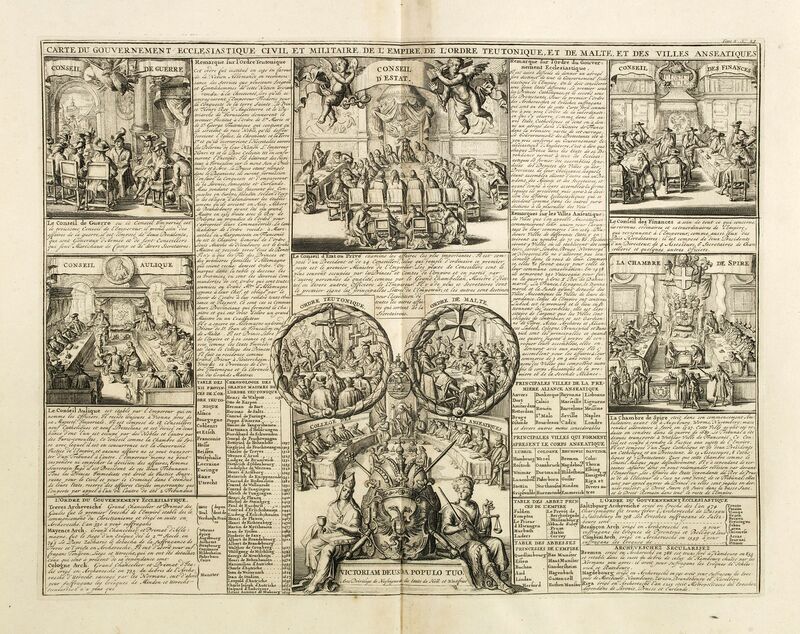 From Atlas Portatif Universel, by Vaugondy. Numbered plate 50 and 51 in the top right corner. ENGEL - Plan von Lissabon. Vienna, 1806, Uncoloured.. 180x305mm. Good print. Light staining and toning. Amsterdam, 1623, In attractive strong original colours.. 365x390mm. Strong image. Heavy paper, wide margins. Laid down on other sheet. Paper browned, with some restorations. ALBRIZZI, G.B. - Nuova carta del Polo Artico secondo l'ultime osservazioni ..
Rome, 1730, Uncoloured.. 277x330mm. A good and dark impression .Folds. Small repair to right margin. Light offset. Very good condition. 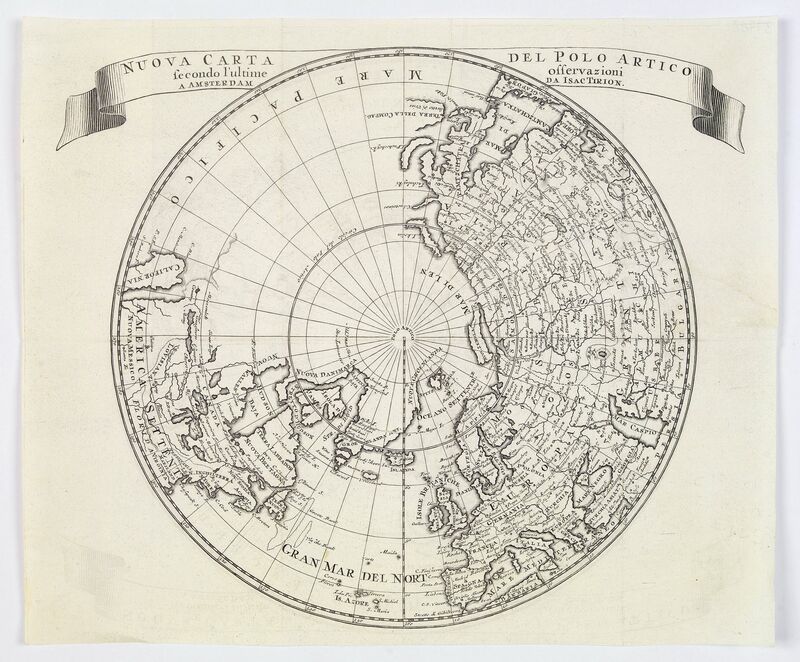 From an Italian edition of Solmon's work of this attractive map of a north polar projection.CALIFORNIA IS SHOWN AS AN ISLAND and the Pacific region is completely blank. Good detail in Europe and Asia, with the Great Wall of China shown. 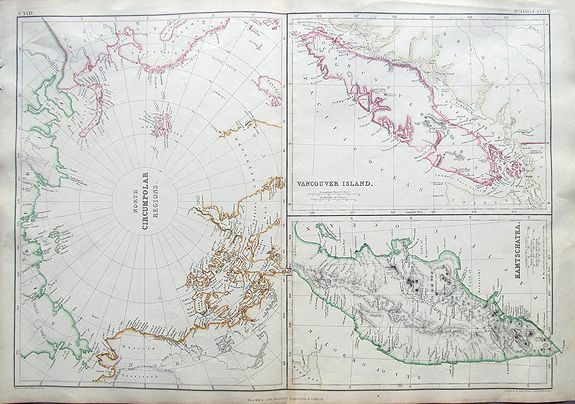 WELLER, E. - North Circumpolar regions / Vancouver Island / Kamtschatka. Glasgow/Edinburgh/London, ca. 1860, In original outline colours.. 500x345mm. In good condition. Some uneven toning and light staining. A few short marginal tears - one reaching into borderline. Three maps on a douple page sheet. The maps are very detailed, with place names, rivers, islands, towns, forts, etc. The map of Vancouver shows the island in considerable scale and is one of earliest obtainable map of it. LANGENES, B. / BERTIUS, P. - Malta. 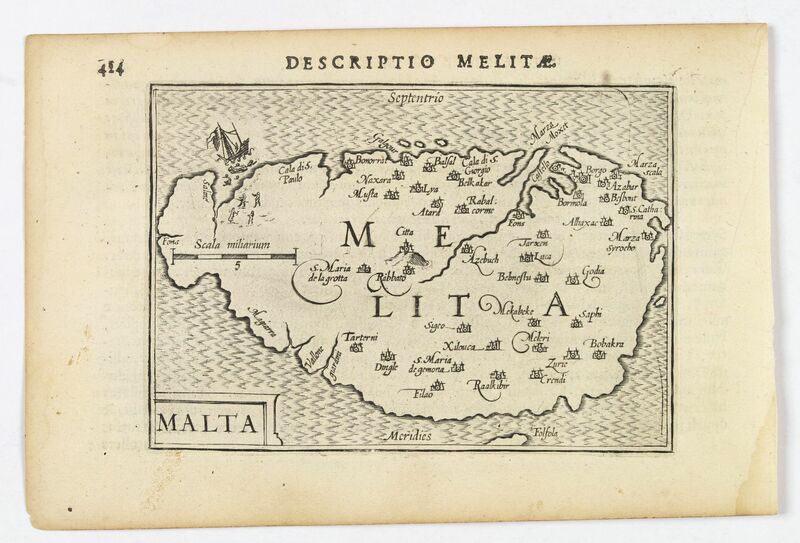 A miniature map of the lovely Mediterranean island of Malta, published by Petrus Bertius in Amsterdam, at the beginning of the seventeenth century. An attractive small map, with hatching in the sea, strap-work title, a mileage scale and a ship. Some coastal and inland towns depicted. CHATELAIN, H. - Carte du gouvernement ecclesiastique civil et militaire de l'Empire de l'ordre teutonique et de Malte et des villes anseatiques. Amsterdam, 1720, Uncoloured.. 340x450mm. Very good impression. JANSSONIUS, J. - Ducatus Lutzenburgensis Nova et Accurata Descriptio. Amsterdam, ca. 1660, Original colour.. 400x510mm. In good condition with centerfold now flattened out. 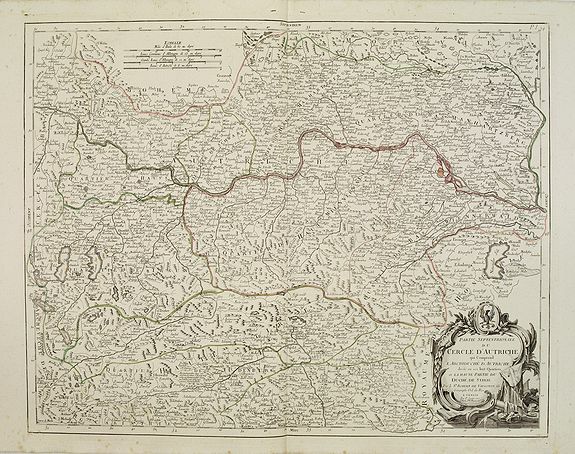 Janssonius' map of Luxembourg with, part of Belgium and the French Ardennes. Engraved with cities, towns, villages, forests, and decorated with a compass-rose and two strapwork cartouches. Latin text on verso. 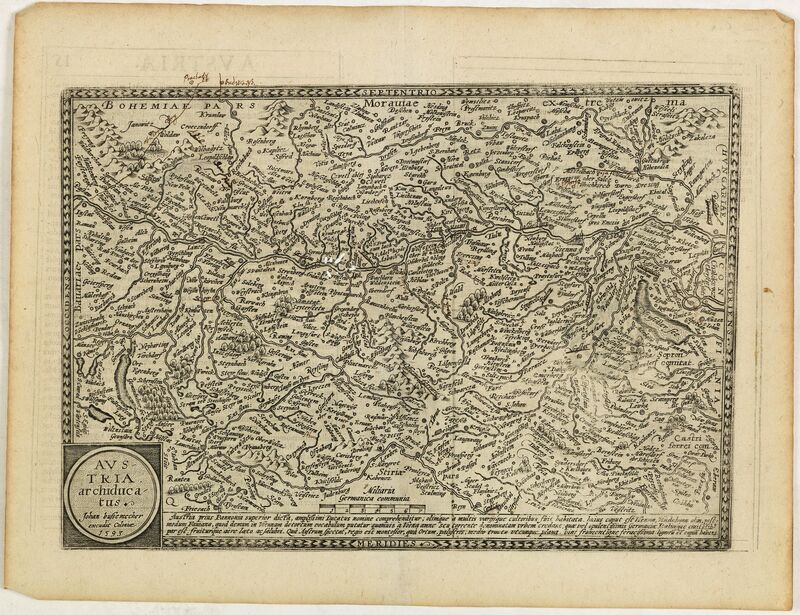 From the "Atlas Contractus". SEALE, R.W. 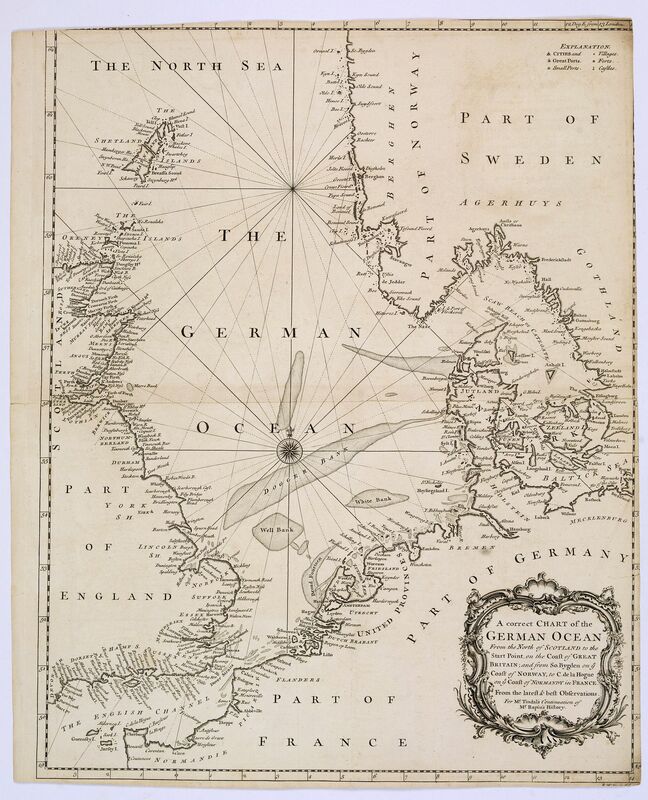 - A correct Chart of the German Ocean, from the North of Scotland to the Start Point. . .
London, 1746, Uncoloured.. 465x375mm. In fair / good condition. Some margins slightly cropped or slim. Lightly age toned. Centrefold. Two small splits to centerfold.